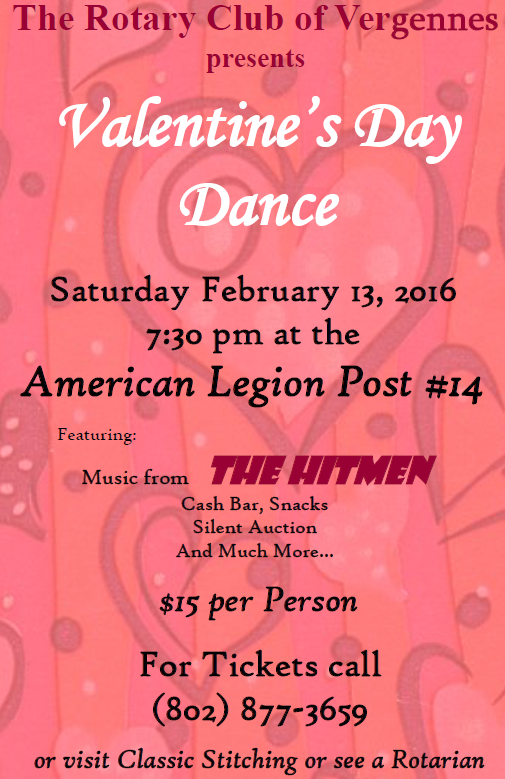 There will be live music by the "HitMen", a Cash Bar, Snacks, and a Silent Auction. Tickets are just $15 each. You can also reserve a table for 8. Purchase your tickets here, at Classic Stitching, or from a fellow Rotarian. Come one come all to this years Valentine's Day Dance and Silent Auction.